EASY WELD is a workshop spatter release based on biodegradable oil. 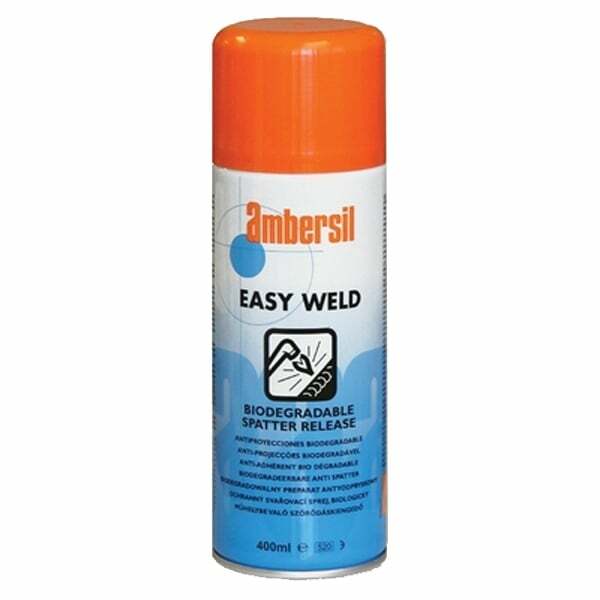 Ambersil Easy Weld provides a quick, easy way to prevent adherence of spatter to metal surfaces during welding, and eliminates the need for chiselling, grinding or wire brushing after welding. It prevents the obstruction of automatic and semi-automatic welding equipment.